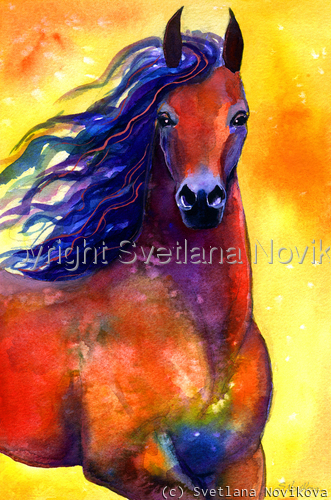 This Arabian Horse painting was painted with watercolors by Svetlana Novikova, original is no longer available. Copyright © Svetlana Novikova, all rights reserved. Please contact me for information regarding licensing, custom work, and prints. 10.625" x 7"13.625" x 9"16.625" x 11"20.5" x 13.625"